On 08.04.2019 the Computer Games Museum opened its new special exhibition. Hanami (花見, “flower viewing”), the Japanese cherry blossom festival, is celebrated every year between the end of March and the beginning of May – a tradition said to have begun in the Nara-period (710–794). 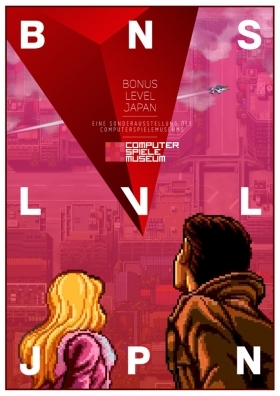 On the occasion of Hanami, the Computerspielemuseum presents a special exhibition focusing Japanese gaming culture. From the 1970s on, digital games from Japan have shaped the global games industry, and they entered the mainstream long ago. Brands such as Super Mario (first title released in 1981) and Pokémon (first title released in 1996) are very popular all over the world. However, the influence of Japan in this field has always been much more profound. The market for video games consoles was on the brink of its premature end due to what is known as the video game crash of 1983. It only survived thanks to Nintendo issuing their first home console. Without the global success of the Nintendo Entertainment Systems (NES, 1983), sold as Famicom (Family Computer) in Japan, the world of video games certainly would not be the one we know today. Our special exhibition BONUS-LEVEL JAPAN takes visitors along on an interactive journey through the Japanese world of games. 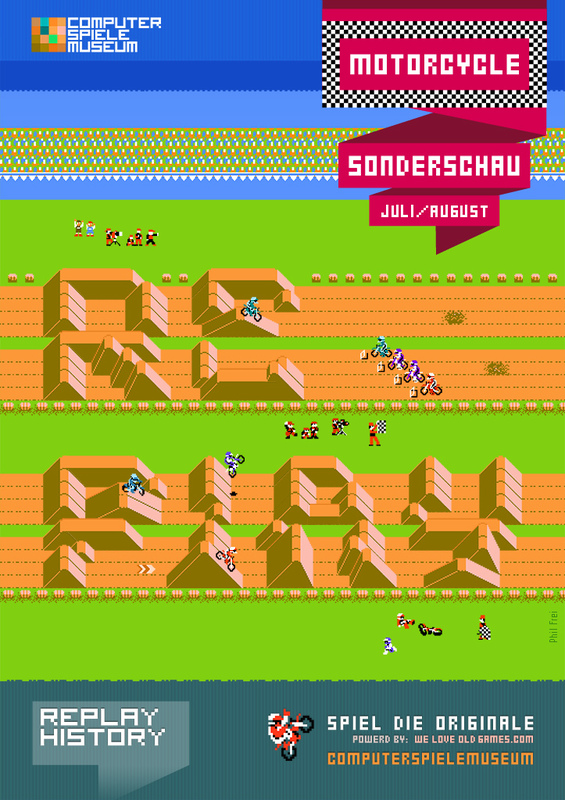 We will present popular games series as well as lesser known titles. In addition, there will be a focus on three different themes: We will invite you to Akihabara Electric Town (秋葉原電気街, Akihabara Denki Gai). A dive into the past will follow for you to experience some crucial moments in the evolution of the Japanese games industry. 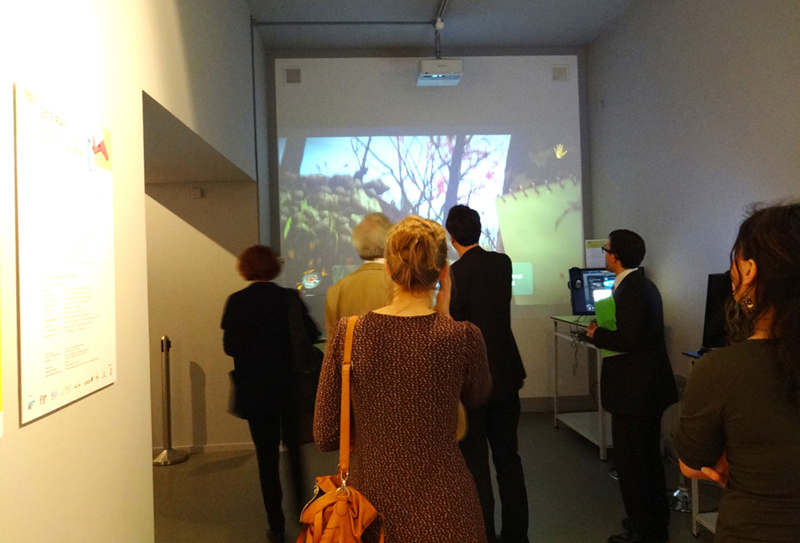 The third section highlights processes of cross-fertilisation between games, popular culture and history. 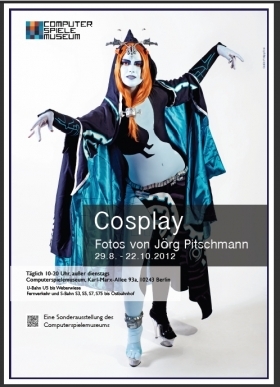 The exhibition is funded by Medienboard Berlin-Brandenburg. The regular ticket will admit you to this special exhibition. 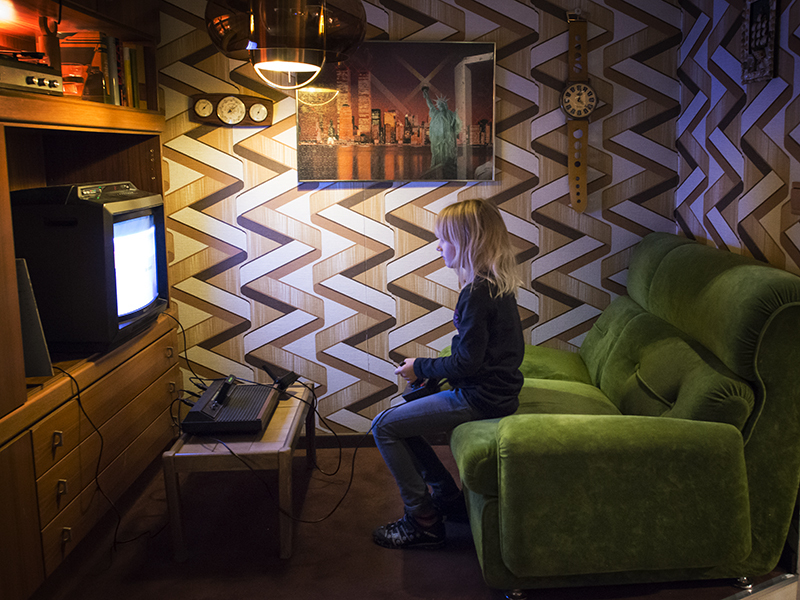 The special exhibition „Starring: the Games“ allows the visitors to dive into an era, when computer games in conjunction with digital technologies conquered our everyday lives. This time travel begins with arcade video machines accessible to the public and then introduces home consoles from different decades. 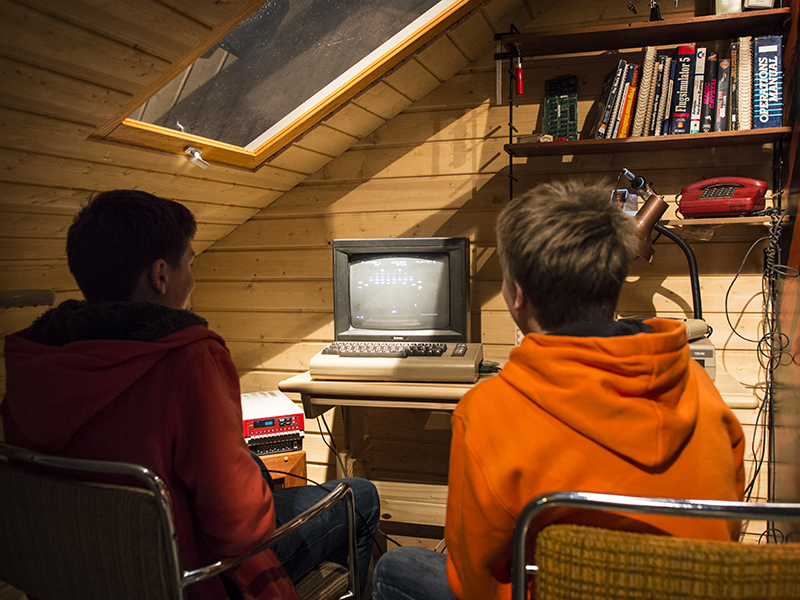 By playing the games on original machines set in authentically recreated environments visitors can play through the beginnings of our digital information society. Contemporary photos and personal accounts complement the picture of an epoch, when computers became part of popular culture. Before digital games conquered our private homes and our purses, arcade video games had an important role to play. They were the main medium helping to make games, already much loved in the seclusion of laboratories and universities, available to wider audiences. History shows a direct link between the space-shooter Spacewar! programmed at the Massachusetts Institute of Technology (M.I.T.) in the year 1961 and the video arcade. For it was Nolan Bushell, later to become famous for founding Atari, who was one of the students fond of playing Spacewar! at the M.I.T. His game Computer Space, released in cooperation with Nutting Associates, an US company for arcade machines, was in fact a version of Spacewar! designed for arcades. This generated the industrial production of computer games for purely economical reasons. Integrated circuits (ICs) were still too expensive to be built into consoles sold to private users. Arcade machines on the other hand are bought by operators of such machines, who make their fortunes through the steady stream of coins from the players. These new digital machines were so enormously popular, that they soon came to replace traditional slot machines such as the pinball. Within months it became clear how profitable this new generation was. Thus the first arcades presenting only video machines were opened to carry consumers off into new realms. Traditional slot machines were located in rather nondescript environments, the video arcades on the other hand used flickering lights and loud colours already displayed on the monitors for interior decoration as well. In conjunction with the loud sounds accompanying the playing these establishments were soon known as „video game dens“. If you wanted to have first-hand experience of state-of-the-art games between the 1970s and the early 1990s you had to go there. 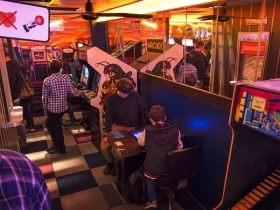 Games that were hits in the arcades would subsequently be produced for home consoles, sold in growing numbers in the wake of the success of the arcade machines. But licencensing fees were high and the home consoles were yet unable to compete with the technical sophistication of the arcade machines, never being more than pale reflections of the arcade versions. Not only being the realm for the commercial marketing of video games, the arcade also left its mark on the visual presentation of the early blockbusters. In 1978 Space Invaders introduced the first high score lists. Players could thus receive an identity beyond the actual playing procedure. It also triggered them to leave their calling cards on the premises to be seen by other customers. 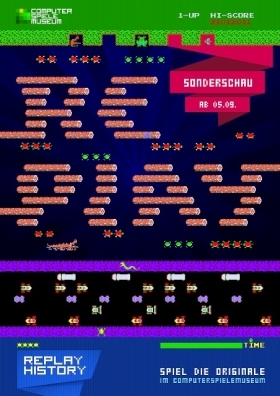 The actual game play was also very much shaped by the context of the arcade. Since profits were not made with epic and extensive games, developers produced short ones, so that players inserted yet another coin into the slot. Since the games were never to reach an ultimate goal, their plots tended to be minor variations of the motif of Sisyphus allowing for infinite repetition. 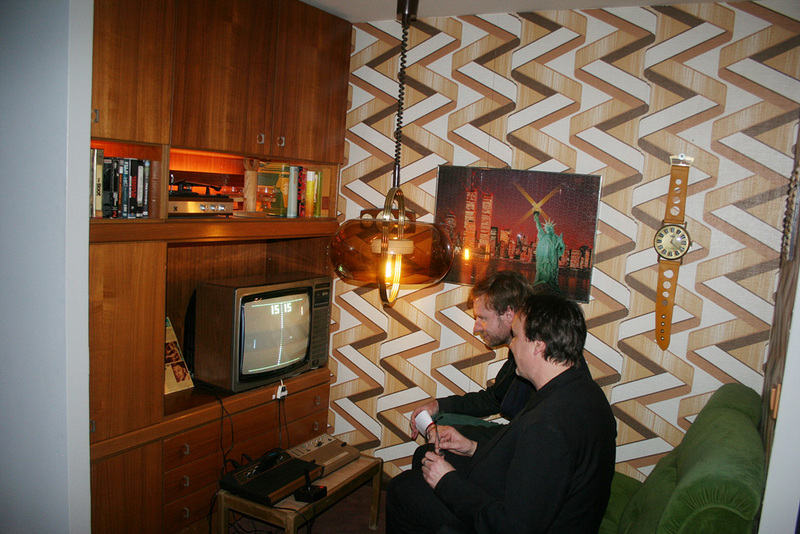 A further incentive to play was the social situation in the arcade: often two players were competing with each other in front of an audience. There is yet one more dimension, in which arcade machines left their mark on computer games. 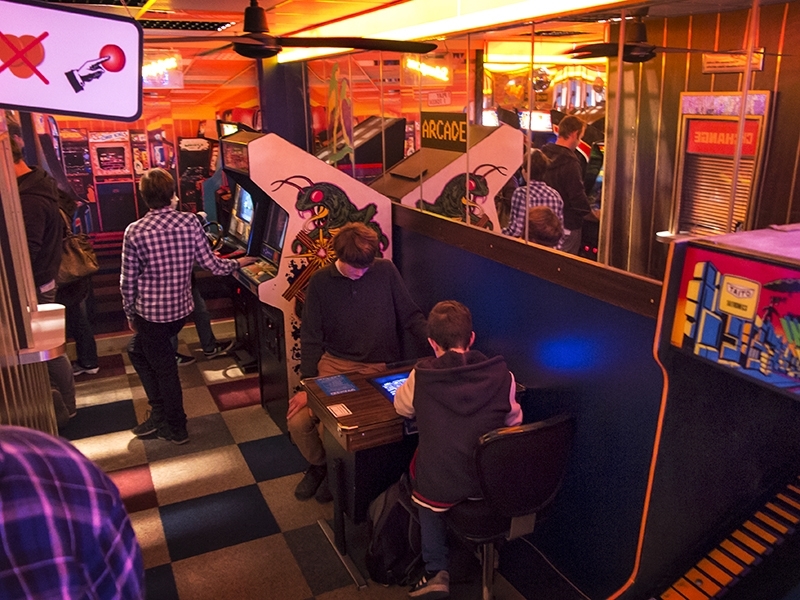 In the Federal Republic of Germany the 1984 amendment to the law for youth protection made operating video arcade machines in public spaces illegal. Like slot machines they could henceforth only be run on premises, where under-age persons were not permitted. Without doubt this change in the law strengthened the image of video games in West-Germany as being liable to corrupt the young. Nowadays the classic video arcade has become a rarity anywhere in the world. Their technological advances compared to home consoles have dwindled long ago. If you can download a game for a small sum onto your mobile phone, you have little reason to leave home for visiting an arcade. Its social dimension is being substituted by online networks. However, it should be borne in mind, that current mobile applications often rely on games introduced when the arcade ruled, since their simplicity in terms of both the graphic design and the fundamental principles make them suitable for small monitors and for the casual playing in between. The US-American company Sanders Associates filing a patent application for the „Gaming and Training Apparatus“ (developed by Ralph H. Baer) in 1968 may count as the beginning of the epoch of home video games. However, the idea of employing a TV receiver for the purpose of interactive entertainment was so unfamiliar, that it took some more years, before Magnavox, another US-producer for consumer electronics, acquired Baer’s patent, which served as the basis for „Odyssey“. This was to become the first video console game to enter the shops in the year 1972. Since the company wanted to sell „Odyssey“ at what was considered a moderate price then, it still contained traditional TV-technology. But only a few years later the appliances came to be equipped with ICs (integrated circuits): „Pong“ – published by Atari in 1975 – was the first game to employ this new technology. It was a reproduction of a successful arcade machine of that very name, now targeted at the home consumer market. The microchip AY-3-8500 by General Instruments (USA) must count as the next milestone. It was introduced on the market in 1976 and one of the first microchips produced on a mass scale, meaning that production costs were extremely low, if compared to previous technologies. This device was built into many different consoles and thus came to be sold all over the world. The next step in the evolution was separating the software from the hardware – the standard ever since then. With a „Pong“-console you could only play that very game, which was firmly integrated into the hardware. The Video Computer System (VCS) from Atari changed all that in 1977. Now you could purchase different and newly developed games to be played on the device. From the early 1980s onwards home computers became a standard household implement. To a large extent this was due to their ability for playing games, which in turn shaped the development of these games. From now on complex games could be steered with the help of a full keyboard and, thanks to growing storage capacities, be played in different sessions across a time span. Atari’s Home Pong success soon found many imitators. From 1976 the globe literally was swamped with consoles by different manufacturers. This boom became possible through the development of a special microchip having the Pong game firmly built-in. This chip was sold by General Instruments from the beginning of 1976. Due to its cheap price amounting to only 5 US dollars consoles could now be produced economically and in bulks. However, demand was so high that General Instruments was not able to deliver the ordered quantities to each company. The chip also explains why more than hundred models were nearly identical and differed only slightly. Beside the classical Pong another tree variants were built-in. These games among others were called Baseball, Football or Basketball and had only a minimally changed Pong game pattern. Additionally, the chip included two shooting variants where the gamer could shoot at a light point moving on the screen. The gun was available as optional extra. The boom was to continue for a short time only, since the programmable consoles soon to be released were more attractive to gamers in the long run. In 1976 it became clear that the business with home-Pong-consoles drew to an end. The future seemed to be in programmable systems. Of course Atari wanted to strengthen their market-dominating position in digital entertainment with an own programmable unit. Since the still young firm did not have the money for this, founder Nolan Bushnell sold it to the entertainment giant Warner Communications for the then huge sum of $28 million. Now equipped with a high budget the Atari developers really landed a big coup with the brillant VCS. Thanks to its technical superiority (and thanks to the high marketing budget by Warner) it quickly developed into the dominating video game system. One of the reasons for this success was that it contained adaptations of popular Atari arcade hits. But also many third-party manufacturers produced for this platform. It is said that there had been more games for the VCS available in 1983 than for all other systems together at that time. Counting also the later newly designed variant 2600 jr., which was identical in construction, 25 million pieces were produced altogether until 1991 (!). Steadily increasing numbers of hobbyists using computers meant a growing market for private computers. Thus the business was changing, first barely perceptible, but in due time it would be a thorough transformation with a similar development observable in the USA. The motives of the “newbies” for engaging with computers differed substantially from those of the experts. Instead of decisions pertaining to career and other professional matters, questions of leisure and playing came to the fore. This was reflected in changing desires to buy, but it also entailed the development of computers, since these new buyers were by no means just passive consumers. Many of them turned out to be gifted programmers or designers of hardware. Their new ideas brushed aside a great many sacred cows of computer science. Since their impulse for dealing with computers was mainly connected to creativity or entertainment, most of the programs developed by the hobbyists pertained to entertainment or games. However, the requirements for hardware and software in this field by far exceeded that for applications developed for professional use. This challenge was of particular lure for the hobbyists and on the other hand an attraction hard to comprehend for the old guard of professional computer scientists. The latter viewed colour monitors with a certain suspicion, let alone graphic interfaces or similar “useless stuff”. In the realm of newspapers this about-turn of the hobbyists towards home computers yielded two processes: A host of new magazines on the subject of computing began to appear, while the demise of magazines on electronics set in. When launching “Happy Computer” in 1983 we felt bound to two principle rules: For a start we wanted to prove that computers are fun and much more then mere number crunchers. Secondly we wanted to take a firm stance against all the heated factional struggles, flourishing then among proponents of different brands such as Commodore, Atari and the rest of the computing world. We thought these petty skirmishes were counterproductive. Instead of drawing lines of demarcation producers should, in our opinion, look for common ground and consider questions of compatibility between system components and periphery devices from different brands. We knew only mass production could lower retail prices at a time when many readers were still not able to afford this technology. Thus from the start we endorsed companies like Amstrad and Schneider, for their computers were run on open and moderately standardised operating softwares (at that time the CP/M-operations-system). A second policy of ours was to give clear support to smaller brands, thus advocating a plurality of different solutions (in addition to recommending open standards). This included recommending pure consumer goods like watches based on microchips as well as the first game consoles in the late 1980s. By the beginning of the 1990s we were advocating long-distance data transmission and mailboxes (the precursors of the internet). Thus “Happy Computer” was the first computing magazine addressed to non-professionals, precursor of many publications for private consumers on the theme of computers available today. 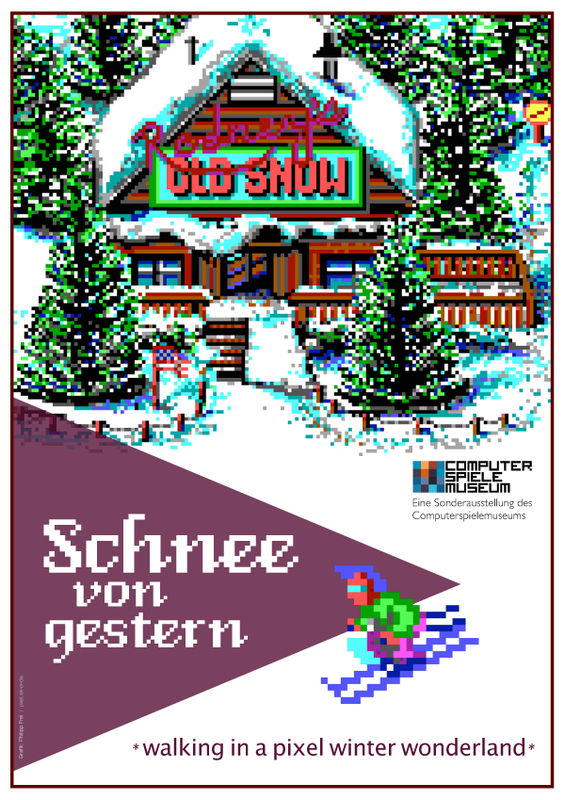 Small wonder, that “Power Play”, the first German magazine on computer games, was a spin-off from the games’ section initially presented in “Happy Computer”. 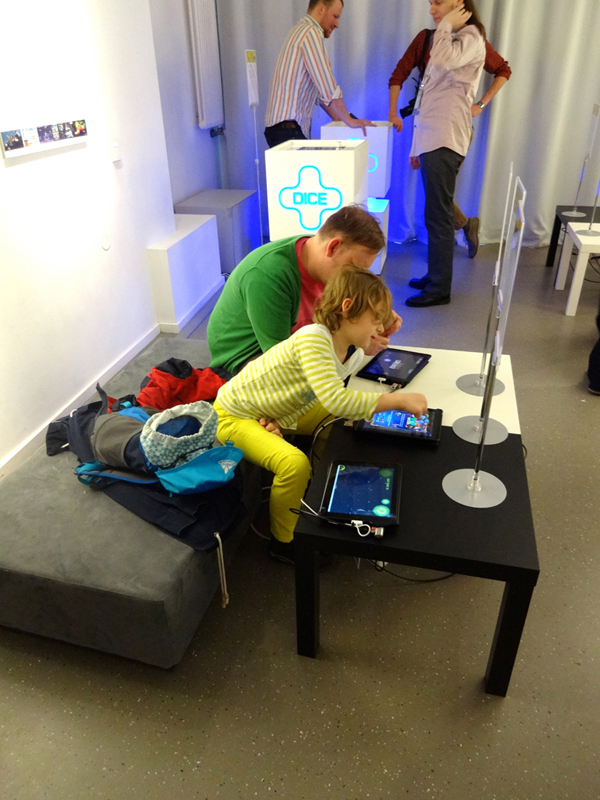 The exhibition “Let’s play! Computer games from France and Poland“ gives us insights into the gaming culture and the development of games in these two of our neighbouring countries. We will be presenting 20 current games stemming from different genres and for a variety of platforms ranging from independent productions to those issued by major companies. You can find action games as well as some devised for learning and specimen from established genres inasmuch as hints as to what could turn into future trends. Our visitors will have access to play these games during our regular hours. An opening celebration is scheduled for April 8, 2014, at 5 pm with no admission charges on this occassion. After this event accessto the exhibition will be covered by the normal entrance fee. This show is fully accompanied by bilingual texts (Geman, English) and it has been developed by the Computer Games Museum in cooperation with both the Polish Institute Berlin and the Institut Français Berlin as part of our contribution to the Gamefest. This festival on the theme of computer games’ culture is part of the INTERNATIONAL GAMES WEEK BERLIN, a regular event staged every year by the Computer Games Museum in cooperation with the „Stiftung Digitale Spielekultur“ (Foundation for digital gaming culture). 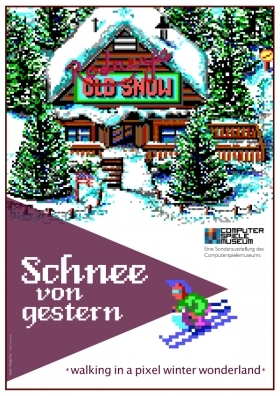 „The Snows of Yesteryear“ is the title of the new special exhibition presented by the Computer Games Museum. From Thursday, 19th December 2013, you can encounter the cold season on seven different gaming platforms. The show will present you icy deserts as well as snow-covered idyllic settings – a relentless battle in „Star Wars: The Empire Strikes Back“ presented on an Atari 2600 as well as an Olympic Ice Hockey tournament brought to you by courtesy of Mario and Sonic on Wii. 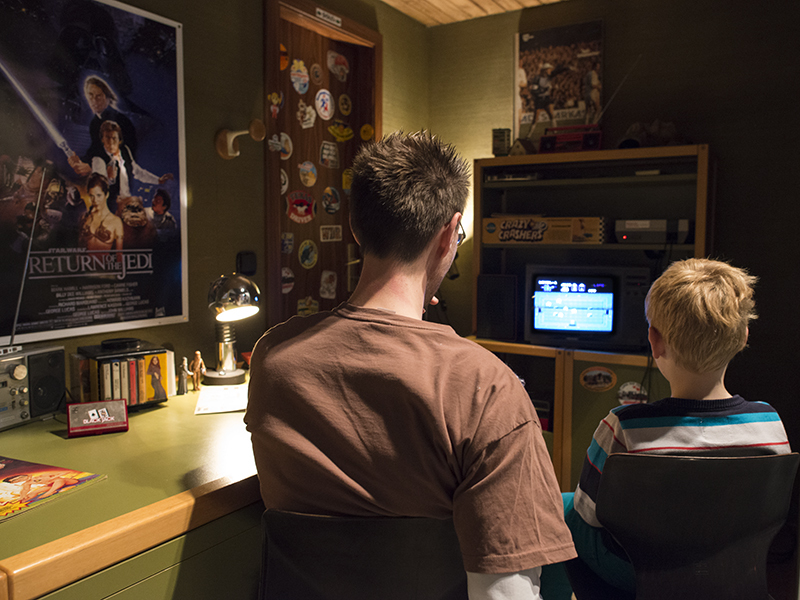 Our visitors can experience the current season as an historic ride through the different epochs of gaming. This exhibition is open every day (except Tuesday) from 10 am to 8 pm. The entrance fee will be covered by purchasing a regular ticket. 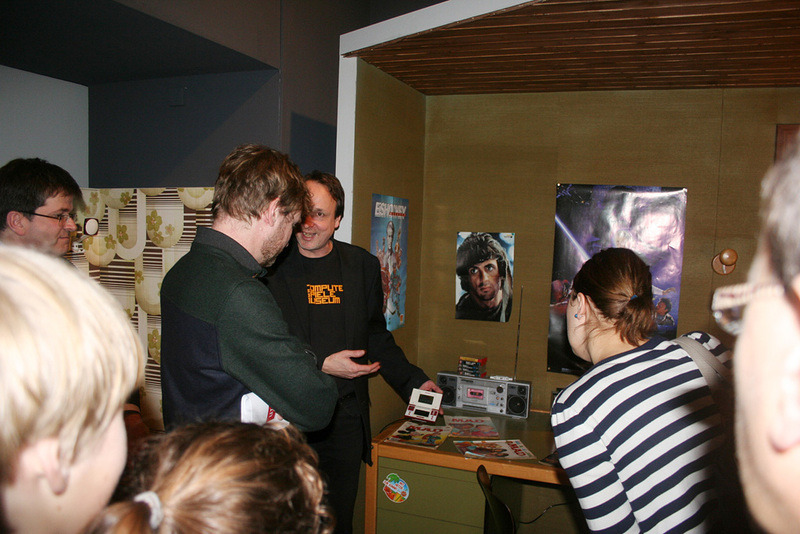 Celebrating the OUYA’s launch in Germany on October 10, 2013, the Computerspielemuseum will host a game evening around this interesting new console, which is an open platform for videogames on the TV. They caused a lot of stir through their successful crowdfunding campaign, surpassing their goal by 900%, raising 8.5 million dollars. Games are what count, so all OUYA gamers are called to bring their consoles along, so we can try out many different games, of which there are already 400. There will be three large displays on site. To give more detail, OUYA developer Chuck Smith (www.chucksmith.de), the developer of Poker Solitaire and Matthias Titze from Golden Tricycle, whose game “Clark” is currently the second most popular OUYA game (www.ouya.tv/games/). Special thanks goes to OUYA who donated three consoles for this event. 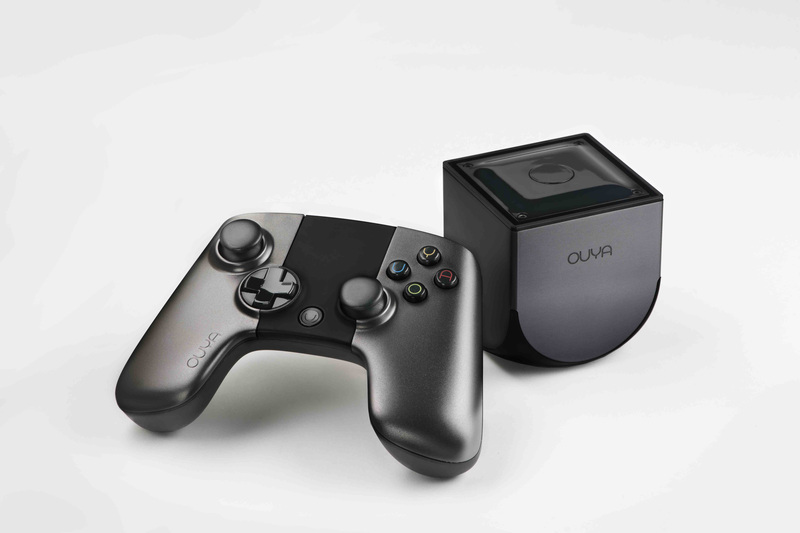 For more information, see www.ouya.tv. 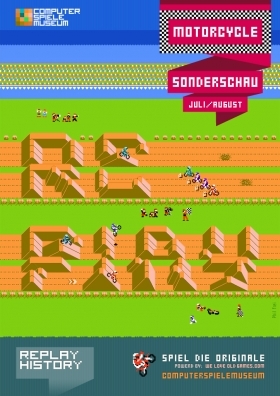 For the summer the Computer Games Museum will present a new special exhibition: the motorcycle to be experienced on popular consoles, the PC and an arcade machine. Kick-start your digital motorbike. Who wants four wheels, when only two are needed? Dive into the realm of virtual freedom, where speed, taking risks and balance are the bare essentials. The development of the motorcycle is connected to great names such as Gottlieb Daimler, Wilhelm Maybach, Robert Bosch and legendary brands like Indian, Harley Davidson, DKW, NSU and – to this day – Honda. In real life it is a pastime for only a few: With only 3.8 million motorbikes registered in Germany, most of us enjoy the fascination of the vehicle from the safe position of the bystander. And the motorcycle is loaded with a host of clichés: dreamt of by almost every boy, a symbol denoting a male rite of passage, an icon for sportsmanship and independence of the mature man, an object charged with an imagery combining technology with sexuality, a residual space of masculine dominance (the pilion passenger is usually female) and the vehicle of choice for gangs of sinister males. This vast pool of mythical as well as ideological values is by necessity implied, when it comes to motorbike games. But the real reason for their success is, that they are ideally suited to the expectations, that make such games so appealing: They do not require cumbersome driving lessons. Neither does the necessary handwork involve oil-stained hands. Plus the risks of delivering yourself to the machine are relatively low – you can enjoy a fantastic ride in the safe realms of 2D or 3D virtual worlds. MasterSystem, Sega SG1000, Gamebay, Playstation 1, for PC plus an original arcade machine. Let yourself be seduced by the roaring simulation of racing with „Road Rash“ or „Kikstart“, by off-the-track cross country action in „Motor Racer“ or by the impressive soundscapes embellishing „Action Biker“. A summer’s tale presented by the Computer Games Museum. With our exhibition »Modell-Welten (Model worlds) – Pictures by Matthias Zimmermann« the Computer Games Museum approaches this discussion from the opposite direction. This inversion does not address the issue of their purported cultural value, but it investigates of how the theme of computer games can be expressed by pictorial means instead. But questions relating to the nature of digital space and virtuality are not only raised on the thematic plane. The very production of Zimmermann’s pictures functions like an interface in combining analogue and digital techniques of work. The artist calls his landscape „model worlds“: their point of departure are impressions gained from our world, which he then translates into a artistic language. By means of this register, which is comparable to a construction kit, he can he can assemble and explore them on the canvas in a playful mode. So this conceptual process of experimentation will finally yield fantastic and model-like landscapes endowed with an aura reminding us of »independent games«. In order to present his paintings Matthias Zimmermann has been commissioned to decorate and re-create the exhibition space like a picture itself: the room has been converted into a digital universe consisting of pixelated stars, in the midst ofwhich his modelled worlds appear to be floating. And again we picked some of our playable curiosities out of our archives and placed them into our special exhibition area. Play Tetris or Super Mario Land 2 one more time - yes that is right, that was over 23 years ago. Or - even further back - playing Dig Dug on the Atari 7800. All this + variyng games and the "play next week" display at the gaming stations. distURBANces – Can Fiction Beat Reality? In the framework of the European project distURBANces, the Month of Photography presents works by the French artist Thibault Brunet in the Computerspielemuseum (Computer Game Museum) Berlin. Brunet deals with the topic of reality and the imitation of reality by means of antagonistic photographic practices that oscillate in the purely digital sphere between reportage, painting, film stills and fine art. In series Vice City (2007 – 2012), he is an avatar taking ‘real’ photographs with a virtual camera of ‘surreal’ details and solitary architectures in vast landscapes in the virtual worlds of the computer game Grand Theft Auto (GTA). Brunet’s images thus become a contra position: first of all aesthetically, because the photographs consist of an extreme contrast to the otherwise forceful visual system of the game made up of tower blocks, cars and gangsters, on the other ideally, because he takes on the role of an art photographer, not a gangster. In the temporary exhibition space of the Computerspielemuseum, Brunet’s Vice City thus appears in a close, yet nonetheless remote context. Be the one to win a extremely exclusive Fix-It Felix Jr. video game machine! Prior to the German cinema release of the new Walt Disney animation hit movie „Wreck-It Ralph“ on December 6, 2012 we will stage a competition involving one of the most charming promotional tools you can think of. It is a video machine for the game „Fix-It Felix Jr.“, in which Ralph has been dwelling as the film commences and which he so intensely yearns to break out of. For he is fed up with acting as the villain. Walt Disney Productions did not only develop the game as a remake of those popular in the early 1980s and made it available for free on their own homepage. They have also authorised the production of a very limited number of those machines, which are both fake and real to guarantee a genuine arcade-feel. The winner will be officially contacted by us immediately after the closing of the competition on November 25. All participants who are interested can receive information from our facebook page which we well update regularly. During The 62nd Berlin International Film Festival, TOP-IX (Torino PiemonteInternet Exchange), Berlinale Official Streaming Provider, brings to Berlin Hommage an die Komputing-Revolution", an exhibition created by Marco Boglione and curated by Cecilia Botta and Massimo Temporelli for K-Way Gallery. The exhibition traces the history of the computing revolution during the Seventies and the Eighties. The highlight of the collection is the first Apple computer, known as Apple-1, produced in 1976, considered the “Holy Grail” of vintage personal computers. 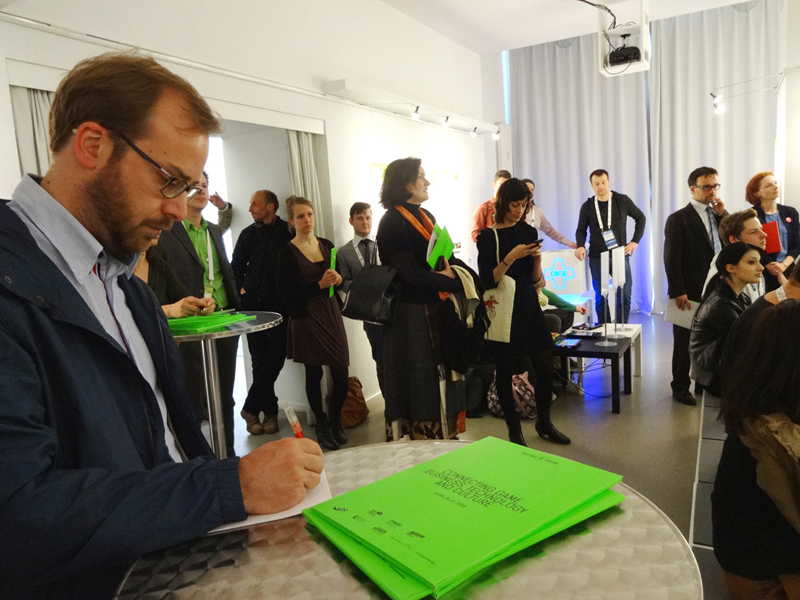 second event about the support of start-ups and young ICT projects by the Development Program of TOP-IX. From November 9th to December 12th, 2011 the Computer Games Museum in Berlin will be showing Streetfighter II by Stefan Schwarzer in a special exhibition. It is an artistic approximation towards what has become one of the most influential computer games in the history of the genre. Created by Akira Nishitani and Akira Yasuda and released by the Japanese firm Capcom as an automat in 1991, it soon became very popular all over the world and it furthermore turned out to be an innovator in the field of the fighting games. For the first time the players were enabled to select one from a range of different fighting techniques available through pressing particular combinations of keys. Moreover Streetfighter II offered a selection of sophisticated different characters with individual traits and competences. Since then the game has not only seen countless sequels and imitations, but also quite a few cinematic adaptations testify to its immense popularity. Thanks to its violent content the game was also the focus of heated discussions in Germany. The level of its popularity that has not subsided for two decades as well as the controversies triggered off by it have inspired Stefan Schwarzer, a painter based in Leipzig, to attempt an artistic exploration from a variety of perspectives. One of his sources for orientation in the Street Fighter-Universe was the plenitude of works created by fans available on the internet. Thus he decided on a corresponding range of different techniques including drawings as well as flip-books allowing for unusual points of view. Stefan Schwarzer himself belongs the generation that grew up with Street Fighter. He is currently a student of painting and graphics at the University of Art and Design in Halle and has already presented his work in a number of exhibitions (e.g. a solo exhibition „S.Y.R.U.“ Koloni Dresden, 2008).